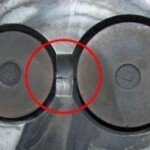 How to check a cracked cylinder head? Are you experiencing overheating, water or coolant evaporation on your Toyota Hilux Pickup, Hilux Surf or Land Cruiser? 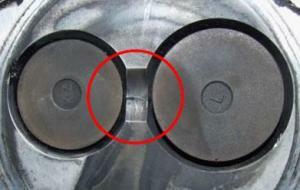 If you are you’re likely to be a victim of the dreaded cracked cylinder head. This article will walk you through the simple steps you will need to follow to identify a cracked cylinder head. What are the most popular cracked cylinder head areas? The most common areas the cylinder head will crack are on the combustion chamber, and hairline cracks in-between the valves. This is due to a poor water chamber design that cannot withstand the fluctuations in temperatures, and the faster speed limit in the UK when compared to Japan - Which is where the engines were originally designed for where the speed limits are much slower to the UK. Cracked cylinder head combustion chamber. Toyota recognised this and later sold cylinder heads where the combustion chamber was increased to avoid cylinder head cracking. Cheaper Chinese cylinder heads are manufactured from not only cheaper materials but are the original combustion chamber thickness, therefore cannot withstand the fluctuations in temperatures, and the faster speed limits just like the original thinner casting. Lack of or no coolant. Increased pressure caused by a restricted water flow. Incorrect anti-freeze with incorrect corrosion inhibitor levels. 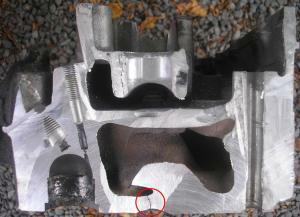 Cylinder head warpage and distortion . Cracks in cylinder heads typically form when a cylinder head undergoes too much thermal stress, loss of coolant and severe overheating. As well as sudden changes in operating temperature from hot to cold, which can all create the conditions that can cause cracks to form. When metal is heated it expands and while the heads are designed to handle a certain amount of normal expansion, elevated operating temperatures can push a cylinder head beyond those design limits, causing the metal to deform. - This, in turn, may cause cracks to form as the metal cools and contracts. How do you test a cylinder head for cracks? Unless there are visible cracks in combustion chamber or between the valves testing a cylinder head is not a DIY job, we recommend all testing of cylinder heads to be carried out by qualified mechanics or engine rebuilders. 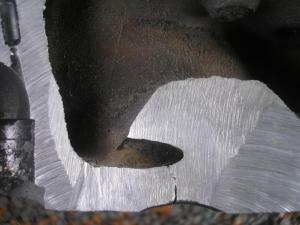 The most common form of testing for a cracked head is by pressure testing the combustion chambers. If you are still experiencing signs of a cracked head and cannot find a crack the next process is dye testing. Pressure Testing; All the coolant passages are blocked off and air is injected into the water jacket. The head is then submerged in water. Air bubbles can be seen coming from the crack. Dye Testing; Performing a dye penetration test makes the smallest cracks easily visible. What should be checked or replaced when replacing a head? It’s just as important to check and replace you’re cooling system starting with your radiator, radiator cap, thermostat and ensure correct pre-mixed genuine red engine coolant has been used. Often a cracked head can be caused by a leaking, blocked or inferior radiator. Make sure the cooling system has been flushed, it is very common for particles to build inside the cooling system resulting in poor cooling, this can put huge strain on your cylinder head possibly causing it to crack.